50 Better-for-You Boozy Beverages to Shake Up Your Happy Hour! This photo-filled recipe book takes the guilt out of happy hour! These genuinely tasty cocktails use minimal added sugar, all-natural ingredients, and a mix of liquor and low-alcohol spirits to make drinking feel like the easiest diet to maintain. All fifty recipes (and bonus recipes) contain five ingredients or less, most requiring fewer than three steps, so you'll be able to make most of these drinks quickly and with little effort. 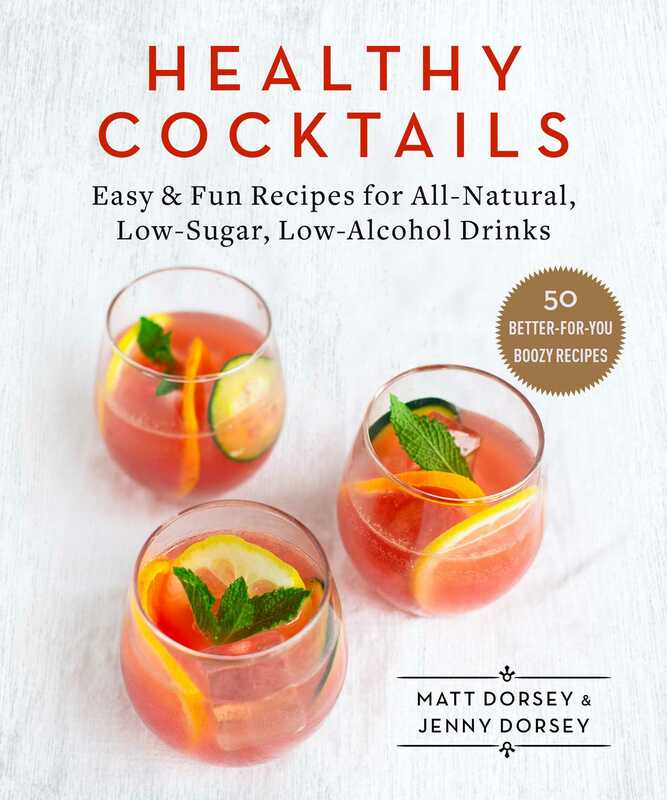 With a mix of cocktails for all occasions, from drinking al fresco to a warm night cap, Healthy Cocktails is perfect year-round, day or night, and will surely shake up your happy hour! Jenny Dorsey is a professional chef and writer with a special focus on combining food and emerging technology for social good. She has previously written Air Frying for Everyone, One Pot Meals, and 28-Day Blood Sugar Miracle. Outside books, she has written for outlets such as Tasting Table, TechCrunch, Girlboss, Huffington Post, and more. Jenny also runs a popup series named Wednesdays NYC and a nonprofit named Studio ATAO. She resides in New York City.